These scruffy lads are nothing like Raffles the gentleman thief, but their intended target is the real knuckle-dragger. A recently released ex-con and his mates put a working class spin on the movie caper in Rowan Athale’s crackerjack Wasteland (trailer here), which opens this Friday in New York. Given the film starts in media res with our protagonist in a police interrogation room, it would seem the caper is not very successful. However, there will be several twists to the tale the black-and-blue Harvey tells Detective Inspector West. Six weeks ago, he was released on parole. Framed on drug charges by Steve Roper, poor Harvey was a bone the local gang lord threw to the coppers to distract them from his own narcotics business. None too happy about it, Harvey plans to use information he overheard in prison to get some payback and seed money for a new life abroad. Ostensibly, Roper has no connections to neighborhood social club, making the basement office safe the ideal place to stash his illicit cash. Of course, Harvey cannot take it alone. He will recruit three friends: Dempsey the fast talker, Dodd the hard drinking goon, and Charlie the momma’s boy welder. He makes a point of not involving his ex-girl friend Nicola, but he still rekindles their relationship in spite of his better judgment. Although Timothy Spall only appears as DI West in the wrap-around narrative device, his rumpled gravitas lends the film instant credibility right from the start. In fact, Athale has assembled quite an accomplished cast of recognizable but not necessarily famous faces. Despite his unprepossessing screen presence, Luke Treadaway is suitably world weary as Harvey, whereas Iwan Rheon’s Dempsey is a slyly roguish standout (even if some of his dialogue is hard for American viewers to catch without subtitles). Again projecting a sense of banal menace, Kill List’s Neil Maskell makes another beefy but intense villain as Roper, looking quite at home in this gritty milieu. As caper movies go, Wasteland is decidedly moody, but it is never slack. For a first time helmer, Athale ushers in each reversal and revelation with an assured touch. Frankly, it turns into an out-and-out crowd-pleaser, while staying true to its working class roots. 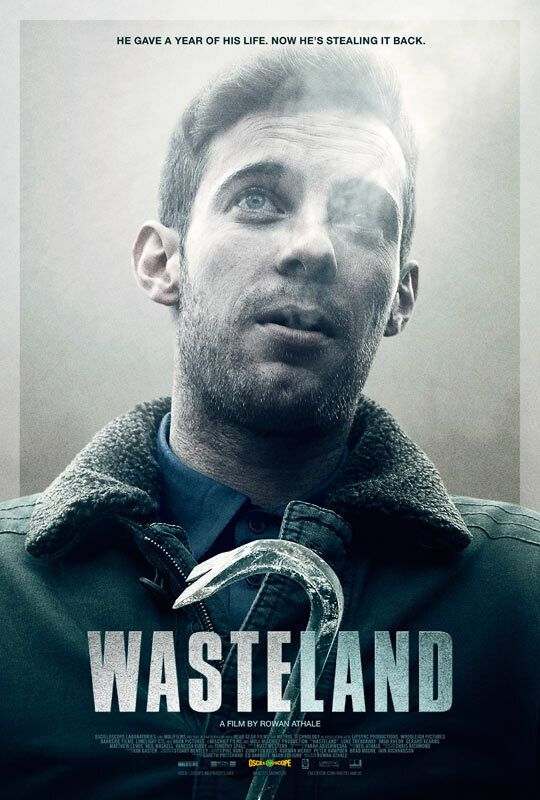 Thoroughly satisfying, Wasteland is highly recommended for caper fans and viewers of Ken Loach’s more accessible films (like Angels’ Share). It opens this Friday (7/26) in New York at the Cinema Village.